To keep your dog’s coat and skin healthy and looking good, your canine companion needs your help for regular brushing and combing. 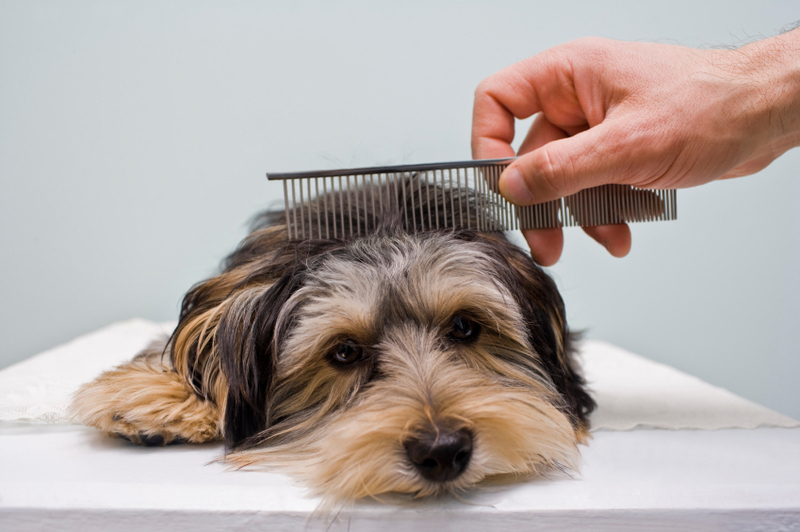 Although your dog does a lot to keep himself neat and clean, he still needs your help to brush his hair. 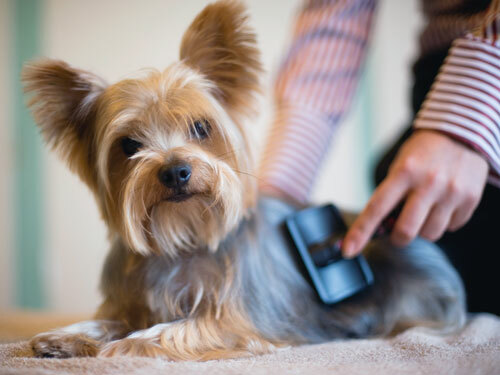 In fact, regular brushing removes excess hair from your dog’s hair, and cuts down the amount of hair you have on your furniture or your clothes. Meanwhile, combing is also a great way to check your dog’s health. 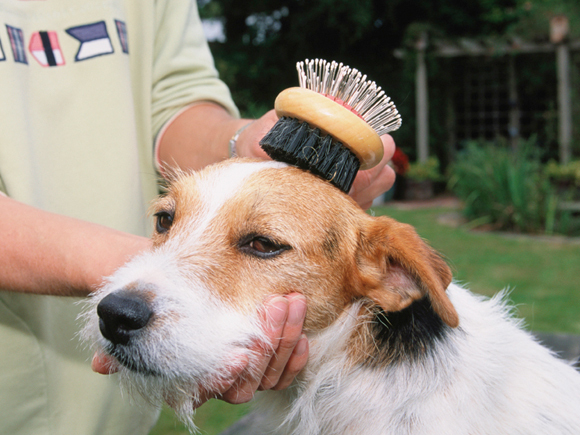 Hence, to give your doggie a good brush massage, you need to start with the right pet hair brush. 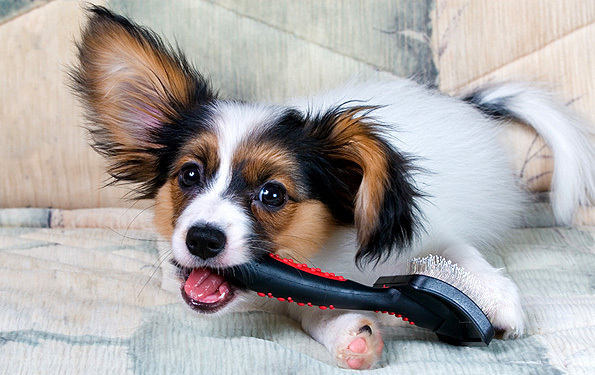 Bristle brushes work as a daily grooming brush for most dog hair types. 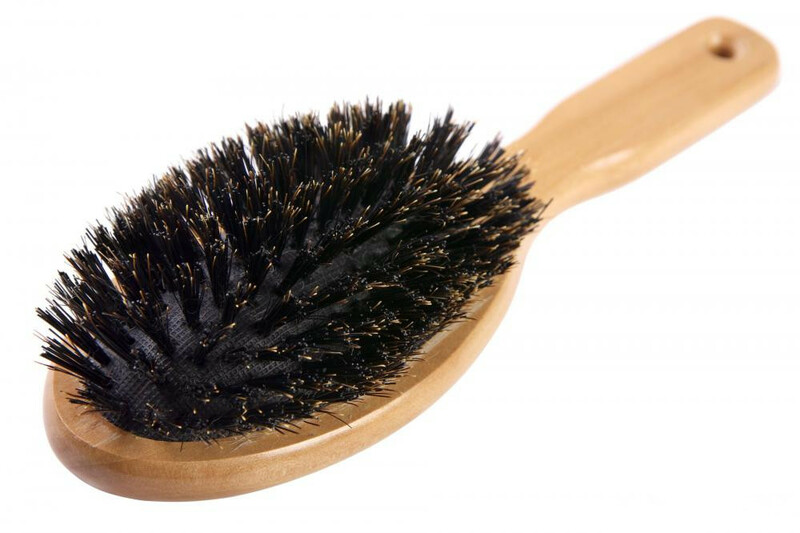 This kind of brush has natural bristle and come in varied bristle spaces. For short, smooth fur, you could choose a brush with short, closely spaced, soft medium textured bristles. Short, wiry and curly hair needs a firm, closely spaced bristle brush. Long flowing hair should have a long, widely spaced, soft medium bristle brush. Slicker brushes have short, thin wire bristles arranged close together. These bristles are anchored to a flat, usually rectangular, surface that’s attached to a handle. Slicker brushes are used to untangle tangles and mats form dog’s hair. They also remove dead hair from a dog’s coat and undercoat. 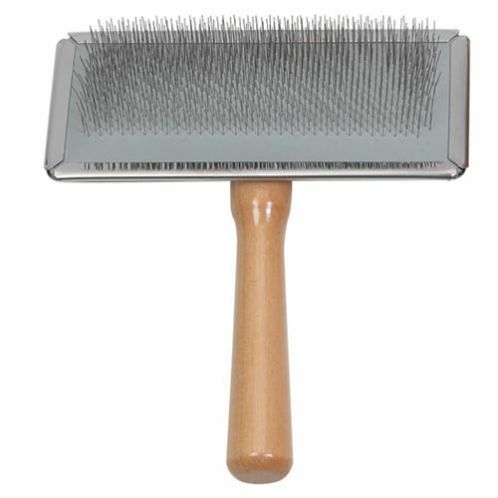 This type of brush works on medium to long-haired dogs, as well as dogs with thin or curly hair. Pin brushes usually have oval heads with wire bristles that are individually spaced and embedded into a flexible pad. 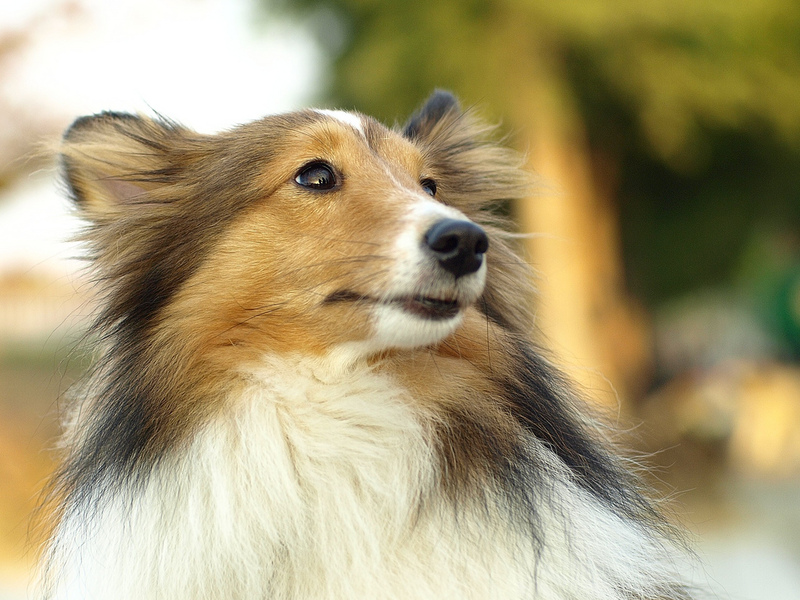 The wire bristles can come or without rubber tips which are the preferred choice for pets with medium to long hair and those with curly or woolly coat. Bath comb is a type of brush that specialized in dog bath. It is made of durable soft rubber materials. 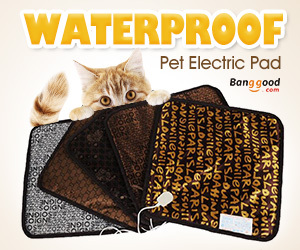 With an adjustable strap attached, you can easily to clean your dog during shower. All these brushes belong to pet supplies, you can purchasing them online or at your local store.